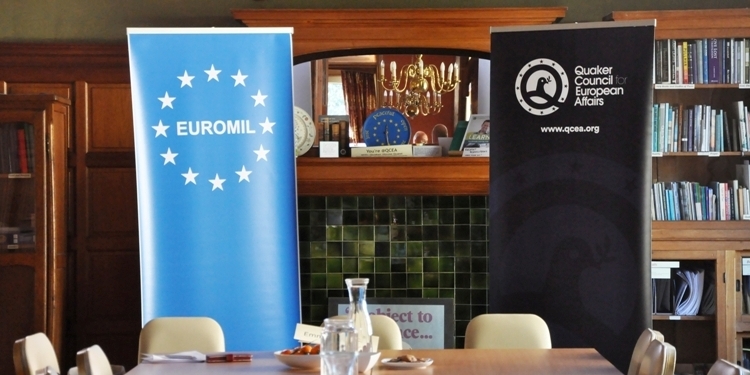 The European Organisation of Military Associations (EUROMIL), together with the Quaker Council for European Affairs (QCEA), organised a policy discussion on “Evolving security responses in a changing environment: opportunities and challenges” on 27 February 2018. The discussion involved actors from across the spectrum and was an opportunity to unpack some of the emerging security needs and how the international community is responding. Participants discussed the changing roles of armed forces, the risks and opportunities attached to blurring lines with development and humanitarian responsibilities as well as the civilian-military cooperation. To read the full report of the discussion, please click here.